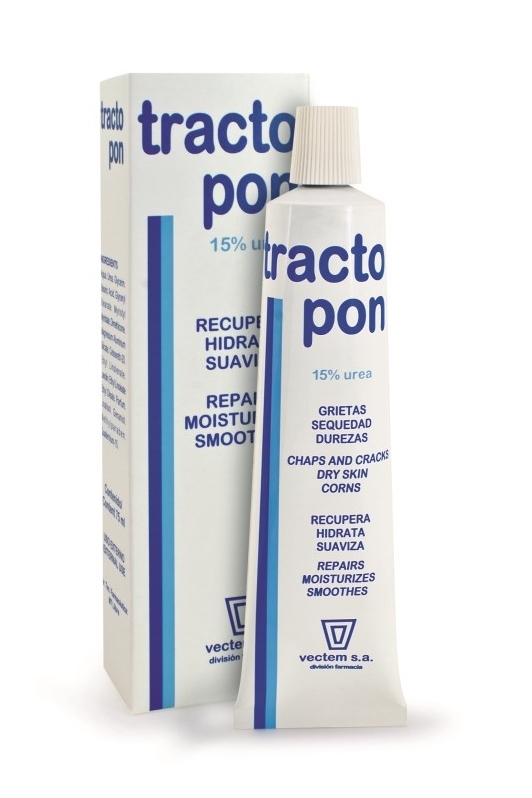 TRACTOPON 75 ML (15% UREA) , vectem s.a.
Moisturising cream with 15% UREA for adjunctive care of dry, rough, scaly and hyperkeratotic skin. Recommended for feet, elbows, knees and stressed hands. UREA helps prevent and improve cracked heels, calluses, corns and hyperkeratotic peeling. Suitable for use on skin prone to dryness and scaling, such as that of diabetic people. More fluid texture for daily and continuous applications.